More than 17 ships and aircraft are descending on the Western Australian coast for one of the largest maritime warfare exercises held by the Royal Australian Navy. The exercise, known as Ocean Explorer, includes both Australian and international participants and offers participants the opportunity to practice war fighting with language, customs and technology differences. 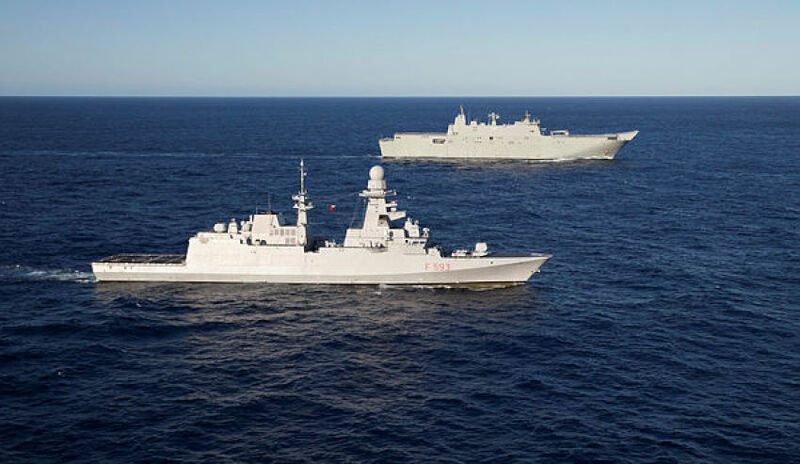 New Zealand's HMNZ Ships Te Kaha and Endeavour, the Spanish Navy's ESPS Cristobal Colon and, for a brief time, Italian frigate ITS Carabiniere will all integrate into the Australian scenarios. Exercise Director Captain Jim Hutton said the activity aimed to train ships to work together in a series of complex and dynamic warfare scenarios. "With the recent acquisition of much larger ships, we are transitioning from a fleet optimised for single-ship operations to a new era of joint task group level expeditionary warfare," CAPT Hutton said. "The main aim of the exercise is to develop our task group capability, to operate a number of ships under one commander and focus primarily on sea control operations. "This can include the full spectrum of maritime security operations; from diplomacy and international engagement at one end, through to humanitarian and disaster relief, constabulary and peacekeeping operations, and at the upper end of the spectrum, high end war fighting." The Royal Australian Air Force (RAAF) will also participate in scenarios, as will defence elements based on Australia's east coast. Units ashore in a number of locations will integrate into the exercise to add complexity and reality. Military activities will be conducted at sea and in coastal areas north of Perth in the vicinity of Lancelin, Geraldton and as far south as Geographe Bay until 10 March. The exercise will also include HMAS Adelaide's first visit to Western Australia.